Floating Shelves that really work! 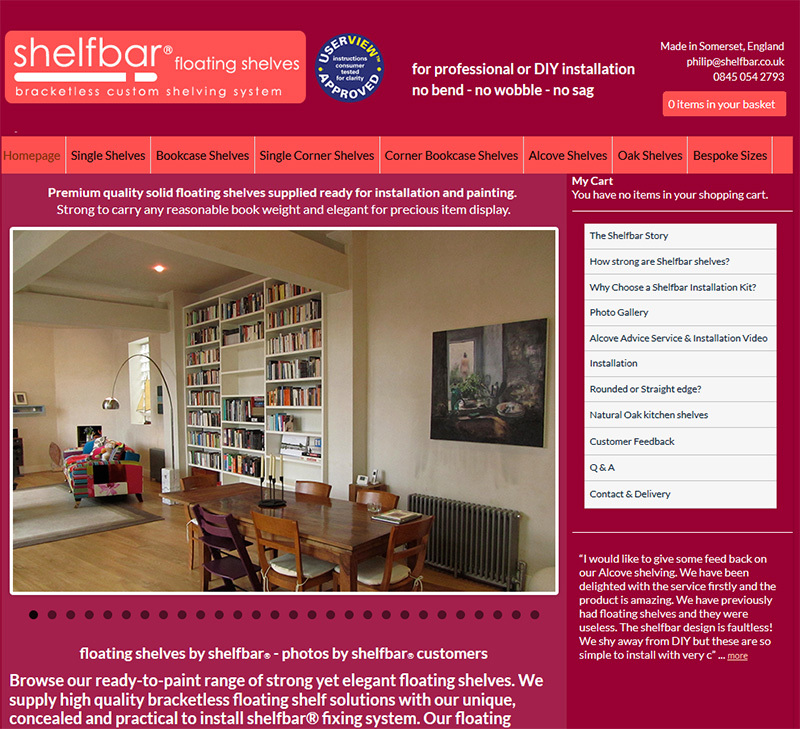 Shelfbar produce bespoke top quality floating shelves that really do float! From a range of designs & sizes , the current best seller is their bespoke floating Alcove shelves which are supplied cut to size to fit your alcoves’ angles – super strong top quality shelving from one of our clients!